Zoe Kravitz daughter to rocker Lenny Kravitz and actress Lisa Bonet is truly making a name for herself. This beautiful fashionista’s face is just popping up everywhere with her latest venture being on the cover of “ASOS” magazine. Highly infiltrated in fashion she talks to the magazine about how she feels being the “IT” girl. Check the highlights out below. I’ve made, and I don’t feel like I’ve let go of any of my values. Flea market shopping, now I like her even more! This entry was posted on May 31, 2011 by divamission. 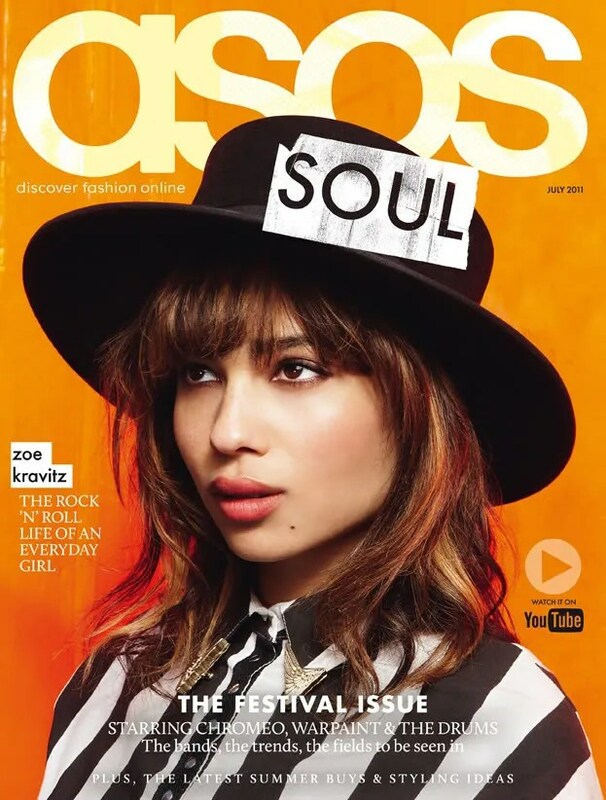 It was filed under Magazine and was tagged with asos magazine, zoe kravitz.